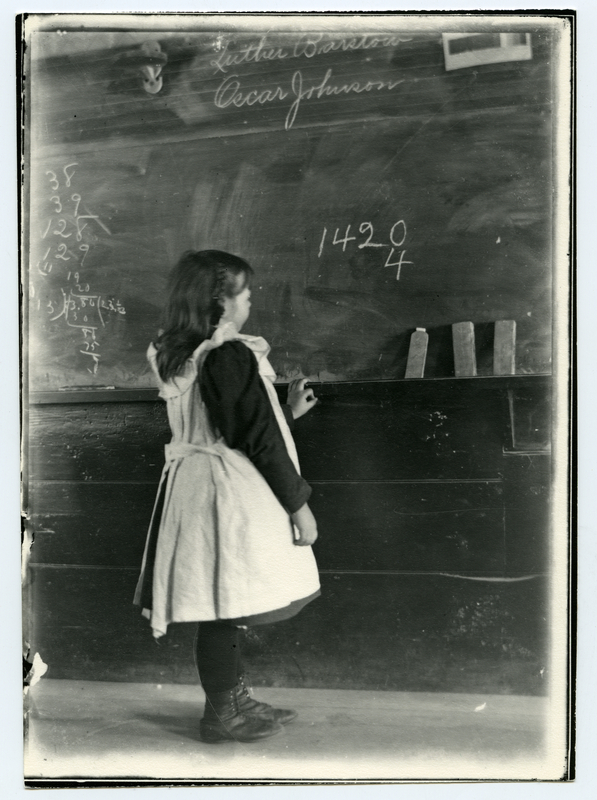 A girl, possibly Edith Barstow, stands in front of the blackboard looking at a math problem. The names Luther Barstow and Oscar Johnson are written in chalk on the top of the blackboard. Johnson, Clifton, 1865-1940, “The hard sum,” Digital Amherst, accessed April 23, 2019, http://digitalamherst.org/items/show/2278.